46mm, titanium case, automatic movement, with date. 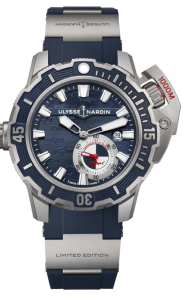 This watch is water resistant to 1000 meters and features a decompression helium valve. 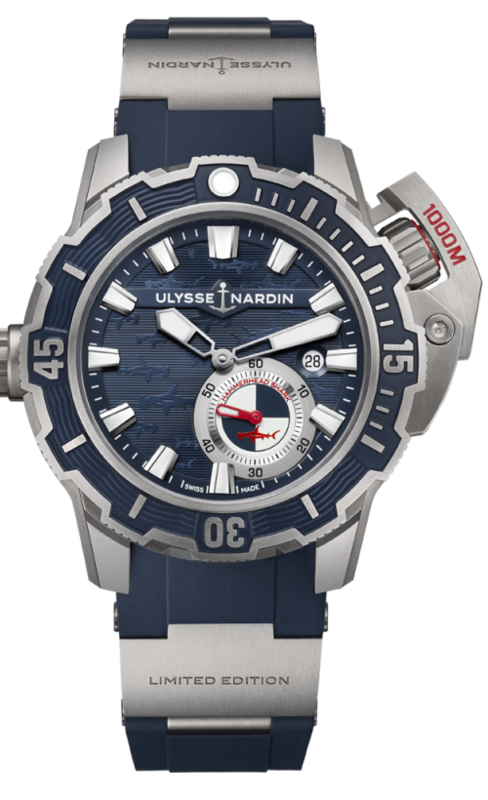 It is available on a sporty blue rubber strap with folding titanium buckle.